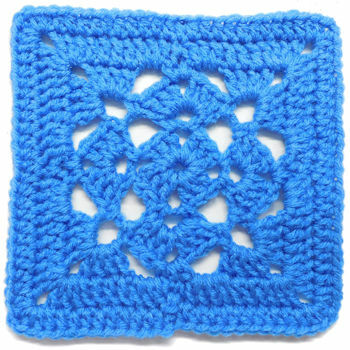 Wild Granny Square -- A free Crochet pattern from Julie A Bolduc. 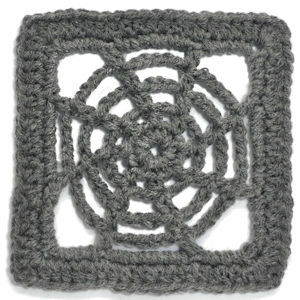 I have designed this square with two different last rounds so that you can have a choice as to the look you want to acheive. 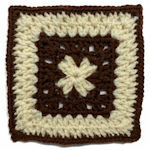 The purple & yellow square uses the RND 6A instructions and the Plain Cream colored square uses the RND 6B instructions. 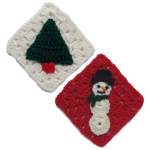 This would be great for use in potholders.